Make and receive calls safely with the Cobra 29LXBTCB radio with Bluetooth Wireless connection. 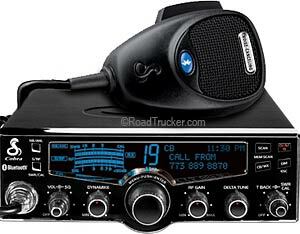 Featuring one touch operation plus Weather and NightWatch, that most truckers love. The radio unit is compliant with all new laws for professional drivers to help you avoid certain road penalties. Caller ID display and audio alerts you to incoming calls and you can also send text with a voice-to-text function.